Brace yourselves! This is not just an ordinary review! You are in for an extensive essay on the power of Mother Nature, the poisonous influence of the human race, the ozone depletion and its impact on the shrinking population of white hamsters! Hey, where do you think you´re going? Come back! We promise we won´t go off the deep end and talk too much about the Earth´s ailing ecology… much. 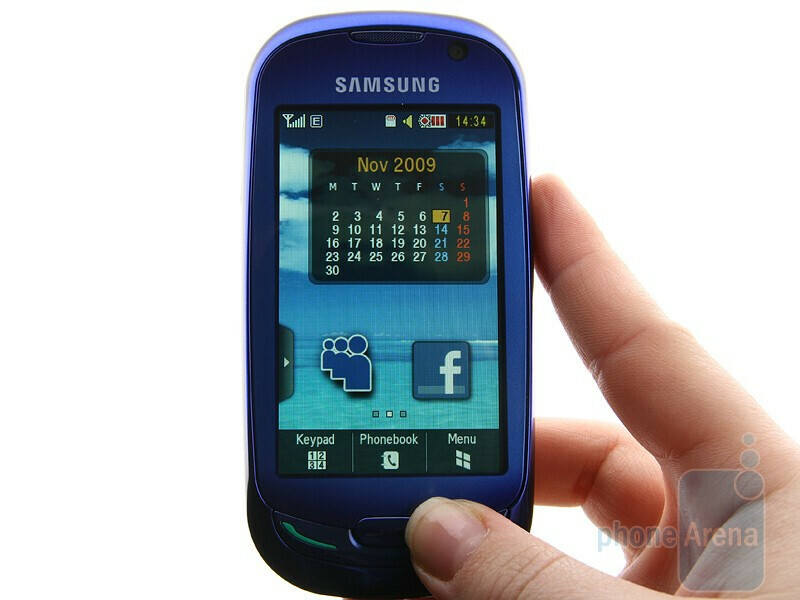 It´s just that the Samsung Blue Earth S7550 has made us think about issues that tend to escape our notice. We all go about our business and preoccupied with our busy daily routine we hardly ever consider things like “can we do more to save energy?”, “Are we doing enough about recycling?”, “What can we do to help nature?” and stuff like that. 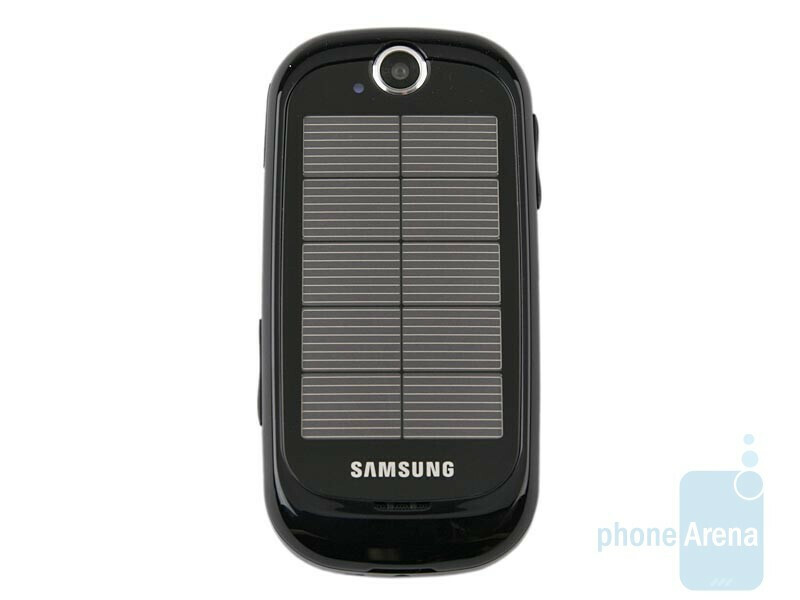 The Samsung Blue Earth S7550 is an environmentally-friendly handset in every single respect – its body and retail box are made from recycled materials entirely and there are solar panels on its back that help to extend the phone battery life in an ecologically consistent way. It goes to show that using recycled materials (plastic water bottles in this case) doesn’t equate to worse overall appeal or build quality. The device feels a bit heftier (4.20 oz.) than normal for its size and the increase is mainly due to the extra weight of the integrated solar panels. 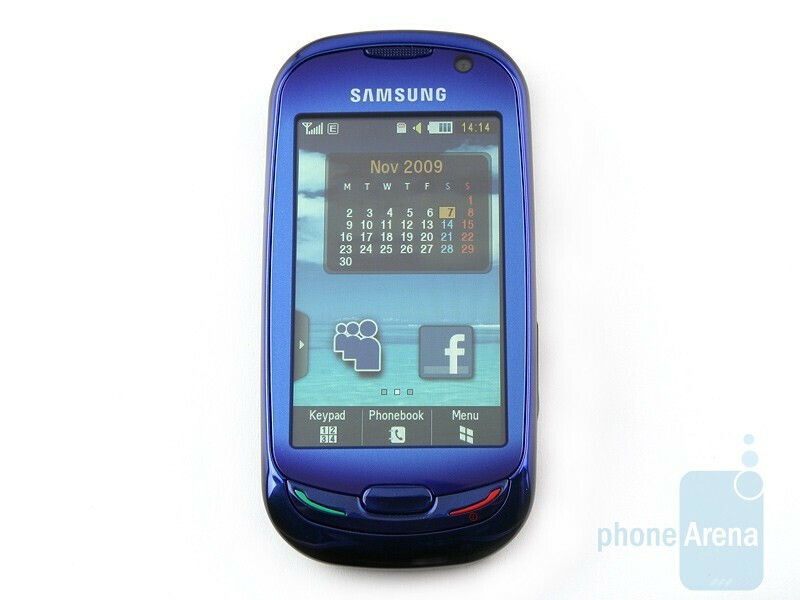 It feels nice and pleasing in your hand, creating pretty much the same overall feeling that high-end devices like the Samsung Jet S8000 and Pixon12 do, while the mystical blue color of its face makes it stand out from the crowd. You can compare the Samsung Blue Earth S7550 with many other phones using our Size Visualization Tool. 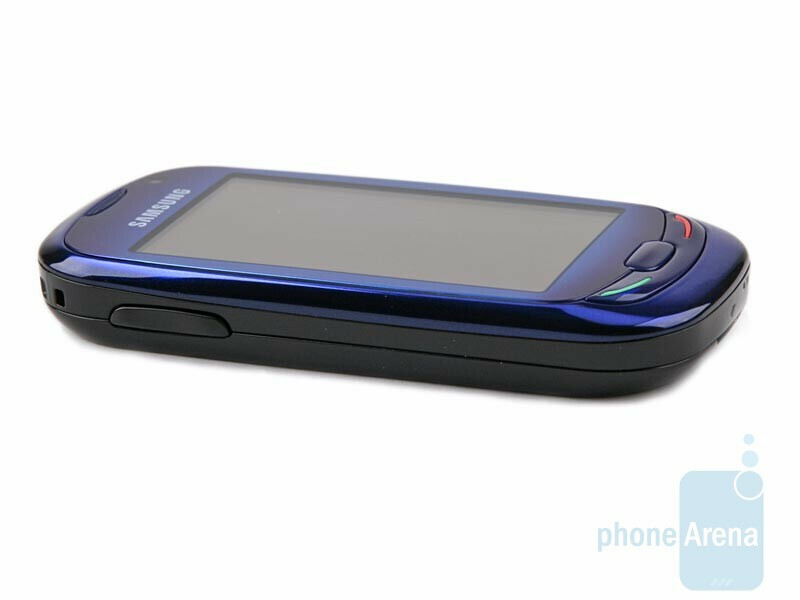 The Samsung Blue Earth S7550 sports a 3-inch capacitive screen with WQVGA resolution and overall sensitivity similar to the iPhone, which speaks volumes really. The image quality is quite good and the screen remains usable in direct sunlight. This looks somewhat counter-intuitive, but we suppose you would often find yourself holding the phone with its back rather than screen facing the Sun, especially on a clear day. 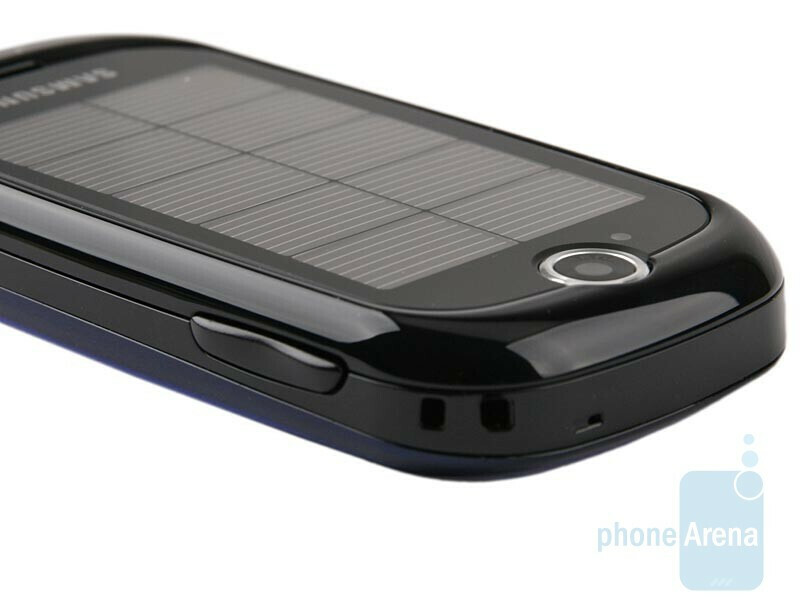 The solar panels also give you something to brag about, telling you friends “Hey dude, look at that gizmo I got” and of course, help you to charge the phone battery. According to the manufacturer, an hour basking in the Sun equates to 10 minutes of talk on 3G networks or two extra hours in standby. We tested the solar panels on a cloudy day and we have to say they charge the battery relatively fast. 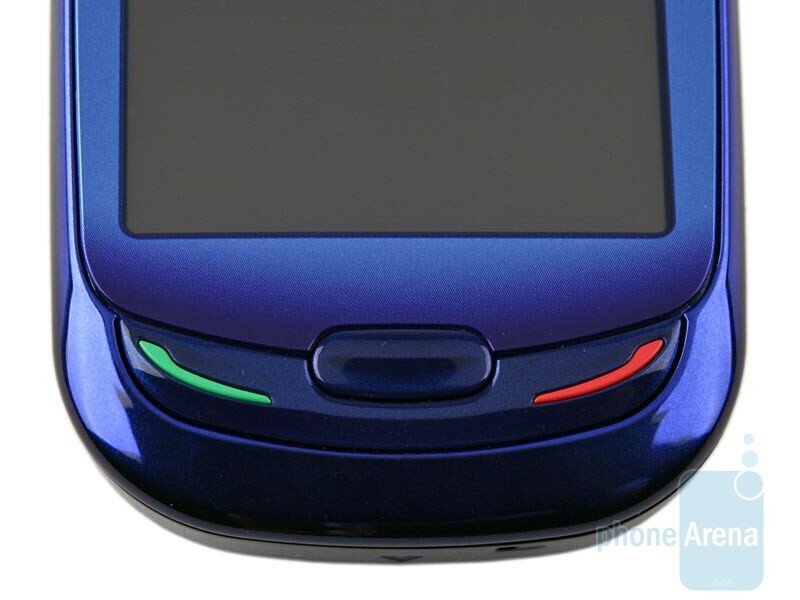 If you point them towards a source of bright light (yes, you can charge the phone even in the light of a reading lamp), the small LED sensor on the back will glow in blue, while the battery indicator turns red showing you the device is being charged. Just keep in mind that charging is slower in overcast weather or when using domestic sources of light. As a whole, all hardware buttons are easy to press and have well pronounced travel. The send and end keys are on the front side, along with the button that takes you a step back in the phone menus. The camera shutter and screen lock/unlock are on the right hand side of the handset, with the microUSB and charger ports directly above them, while the volume rocker is on the opposite side. 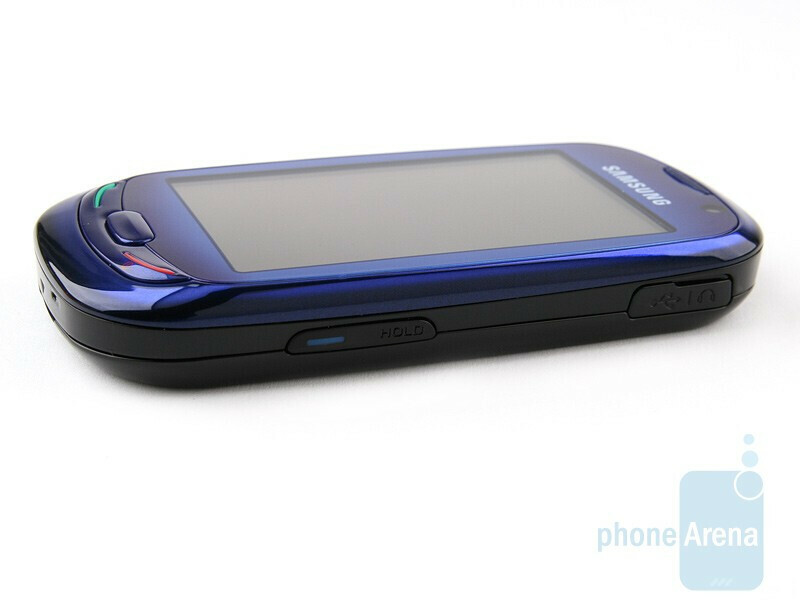 This is somewhat irritating, but getting to the microSD and SIM card slots means you will have to remove the back panel. 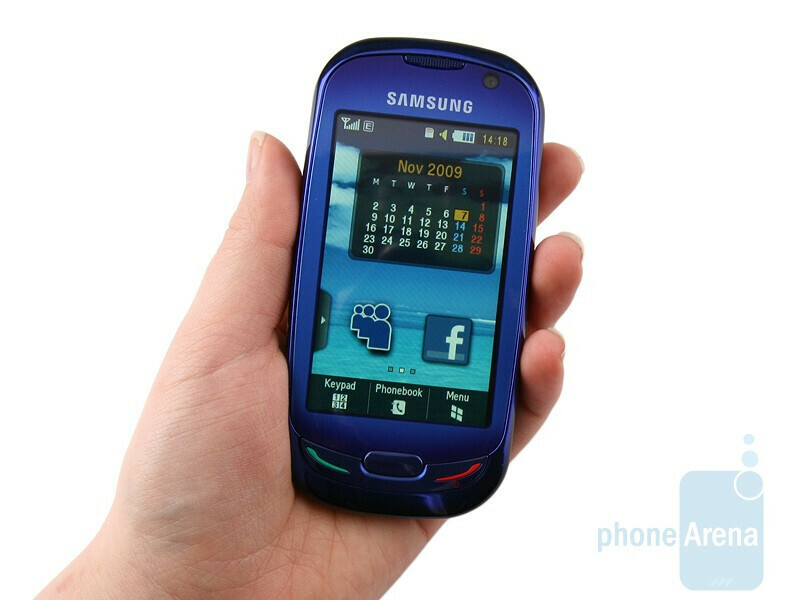 As a whole, the Samsung Blue Earth S7550 is a likeable, eco-friendly handset with high build quality. 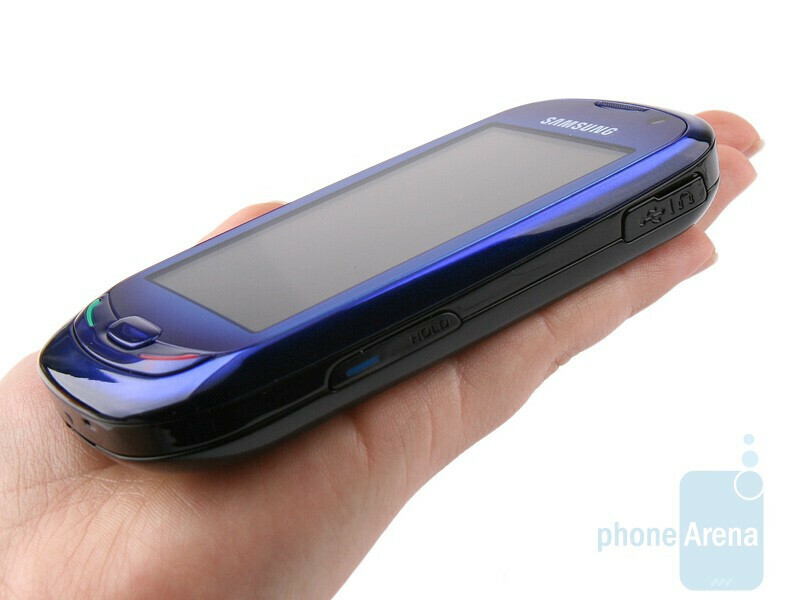 Its compact size makes it quite comfortable to carry around in your pocket, while its offbeat face is memorable. The interesting thing is the eco-conscious workmanship and materials it´s made from do not squeeze the topic of its environmentally-friendly features dry, because the phone comes with relevant software functions as well. Keep reading to find out more.